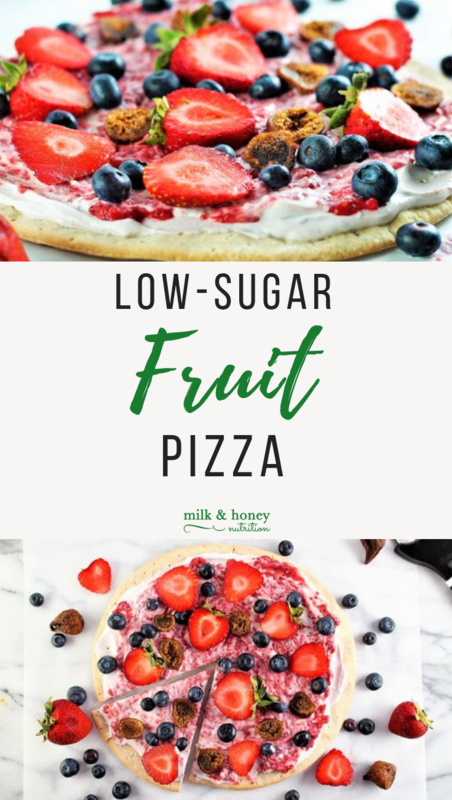 This Low Sugar Fruit Pizza is always a crowd pleaser in our house! It's loaded with flavor and natural sweetness, and who doesn't love pizza for breakfast?! 2-3 fruits of choice: blueberries, strawberries, peaches, etc. Fresh herbs if desired, nuts, etc. Spread yogurt in an even layer on cooked and cooled pizza crust. Next, spread jam on top of yogurt. Top with fruit and any additional toppings. Enjoy! Low Sugar Fruit Pizza will keep in the refrigerator for up to 48 hours.